Sat, 29 Apr 2017 at 6:37 p.m. The roles of chief operating officer (COO) and deputy chief executive will be dumped in a sweeping management restructure proposal unveiled at the Southern District Health Board. In the formal document released yesterday, chief executive Chris Fleming said a new director of specialist services would replace the COO role. The proposed restructuring would not slim the executive leadership team. Its number would increase by one to 13 (including the chief executive), but there is quite a bit of change in the make-up of the roles. The brunt of job losses would be borne at the next two levels of management. Restructure proposal appears to break up a joint decision-making model which involves senior doctors and nurses. Nurses are “devastate” by the proposed restructuring at the Southern District Health Board. New Zealand Nurses Organisation Dunedin organiser Lorraine Lobb said the proposal removed budgetary and operational control from nursing leadership. There would be fewer nurse management roles, and those who remained would have less say in decision-making, Mrs Lobb said. “We’re quite devastated by this proposal. We’re all about safe staffing, [and that] requires nursing leadership,” she said. The proposal would see a net loss of 23 management positions. It was unclear how many were nursing roles. […] The new chief nursing and midwifery officer would have no control over budgets as their underlings would only report to them on professional matters, she said. […] The proposal also removes operational responsibilities from the board’s top doctor, the chief medical officer. On operational matters, medical directors would report to the director of specialist services, rather than the chief medical officer. 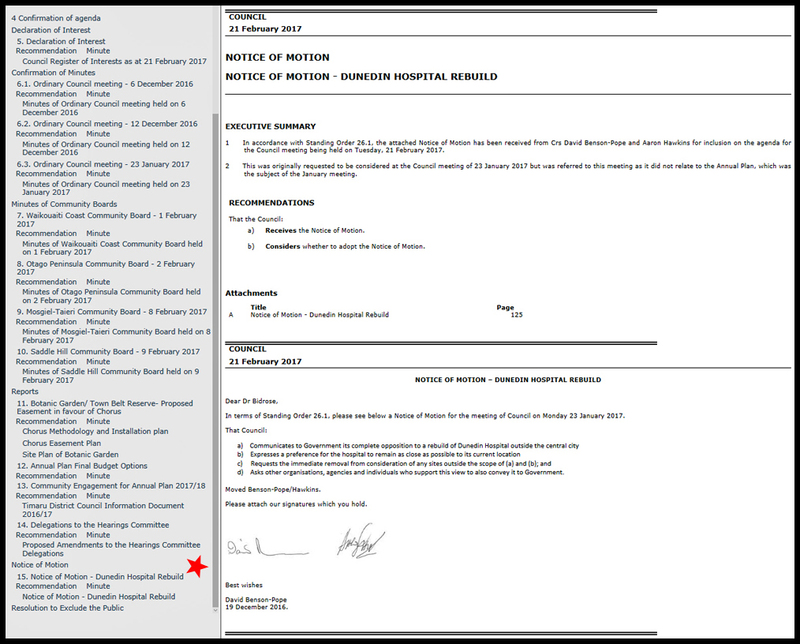 █ SDHB to consider submissions before announcing the final structure in June. Junior councillors should think carefully about how they appear in writing and how they might appear in publicity shots on Frederick St, as a band of politicos. 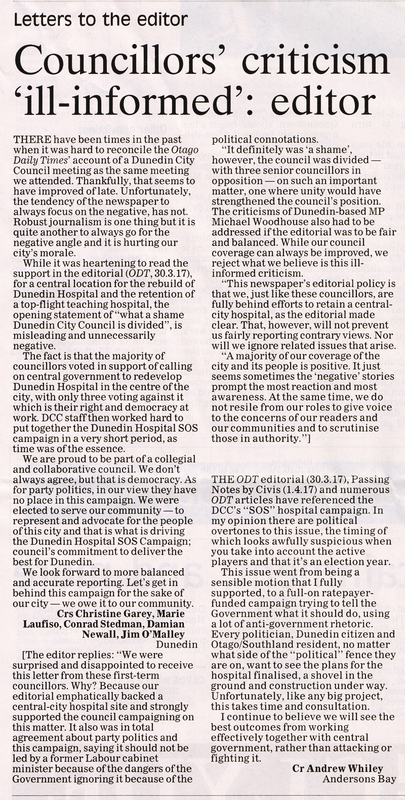 OPINION What a shame the Dunedin City Council is divided over its campaign to keep the city’s hospital in the central city. 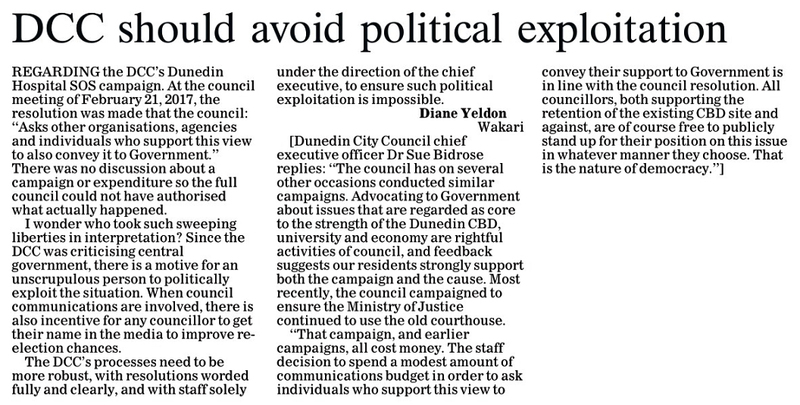 This is an issue which should unite Dunedin. The squabbling is distressing. 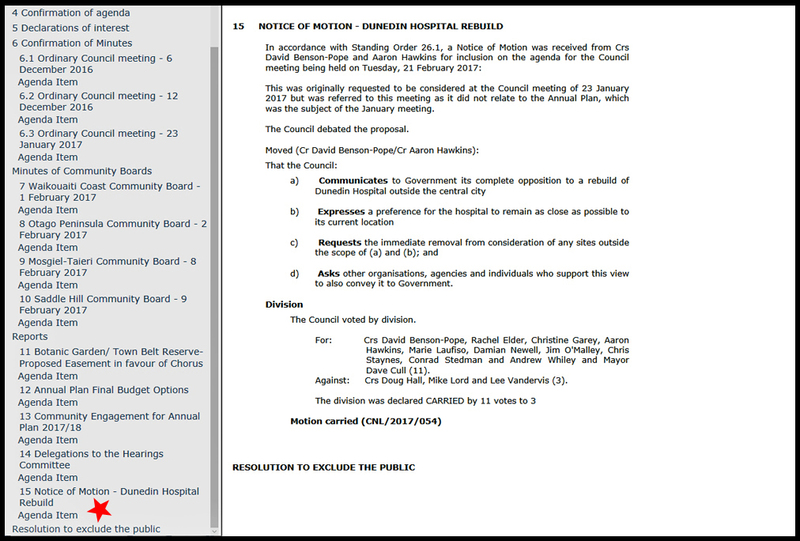 The council has initiated an effort to keep the rebuilt hospital right in town, with three councillors, Lee Vandervis, Mike Lord and Doug Hall, voting against. Dunedin-based National-list MP Michael Woodhouse waded in late last week, implying the campaign was a front for the Labour Party […] There are two fundamental issues. First, on the siting of the hospital, and second on whether the council should campaign on that. 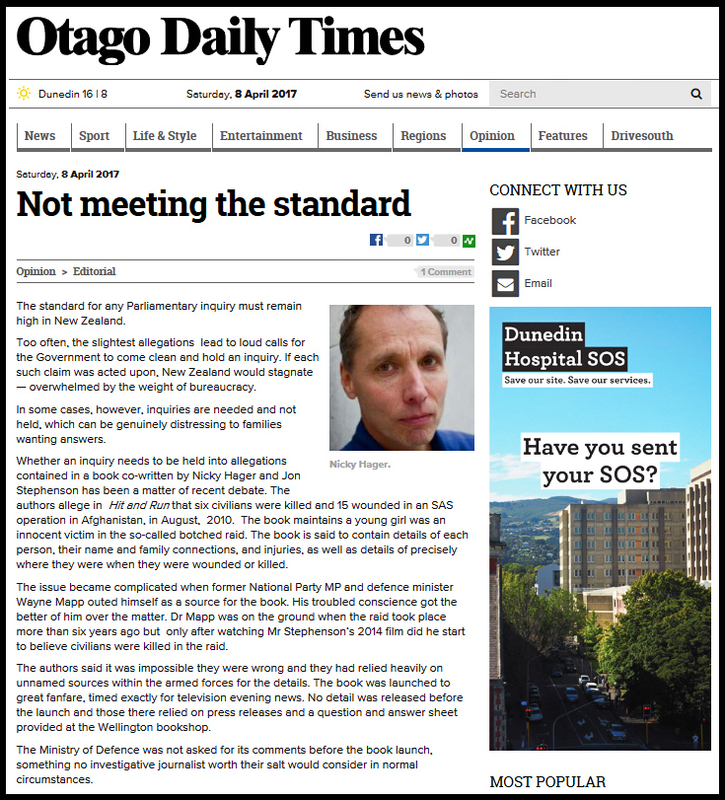 As as been pointed out strongly on this newspaper’s opinion page by two distinguished Dunedin residents, Sir David Skegg (a former University of Otago vice-chancellor) and Emeritus Prof David Jones (a former university medical division head), close links between the medical school and the hospital are vital. 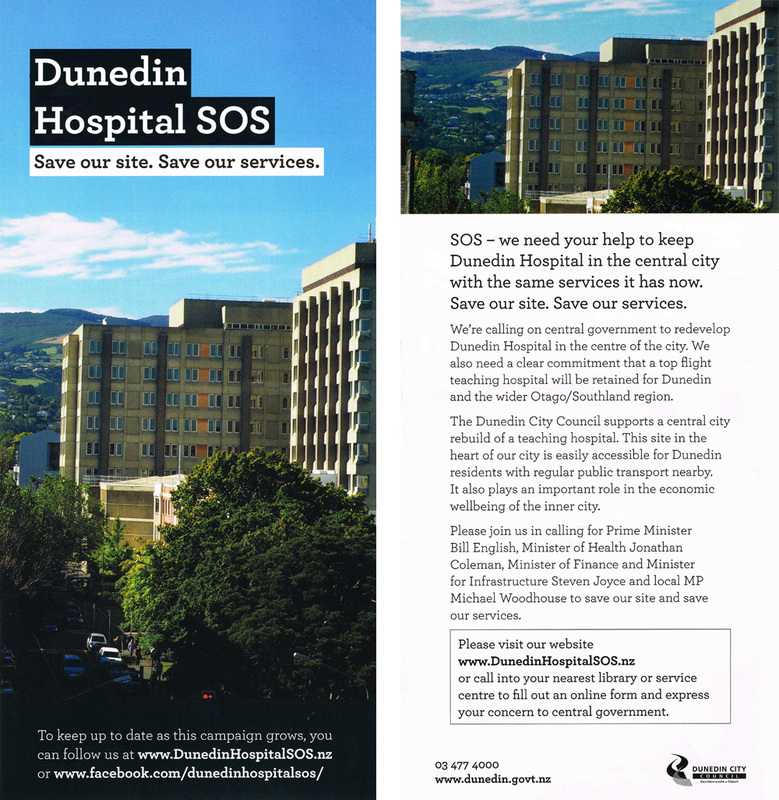 DCC’s ‘Dunedin Hospital SOS’ flyer and Facebook campaign cost Ratepayers $7,102 (excl GST). DCC says 55,000 campaign flyers were printed, with 50,000 supposedly delivered to households (however, thickish piles of flyers have been found by cleaners about town —gathering dust in corporate office tearooms and reception areas)…. National list MP Michael Woodhouse has lashed out at the Dunedin City Council over its hospital rebuild campaign, implying it is a front for the Labour Party. And Mr Woodhouse said the council’s stance was “confusing” — on the one hand it wants a central city rebuild, but it granted the Accident Compensation Corporation the right to consider buying the Frederick St car park. ACC has a 12-month timeframe to look at development options for the site. 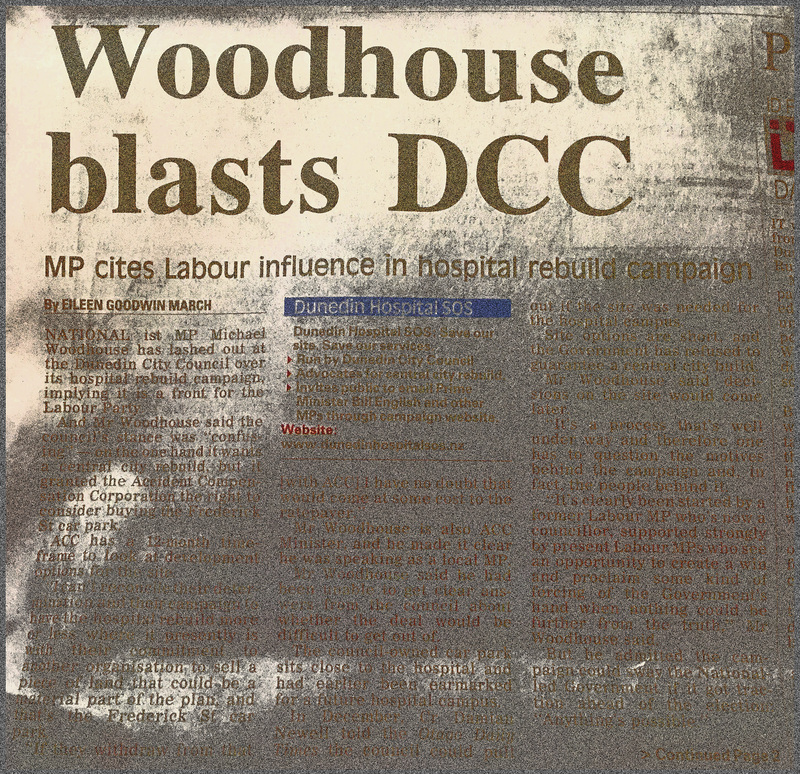 […] Mr Woodhouse is also ACC Minister, and he made it clear he was speaking as a local MP. 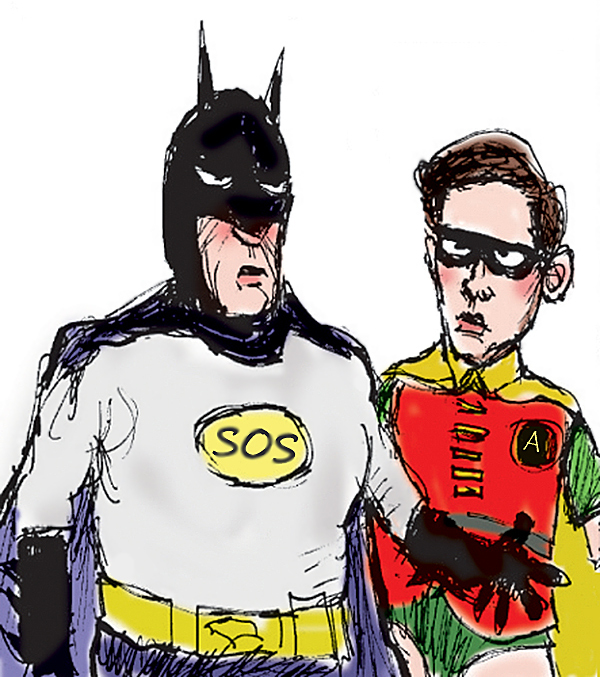 3.9.16 SDHB ‘food’ : Our eyes glaze over . . . .
● 17.6.15 Southern District Health Board sacked !!! OPINION It is the headache that will not go away. 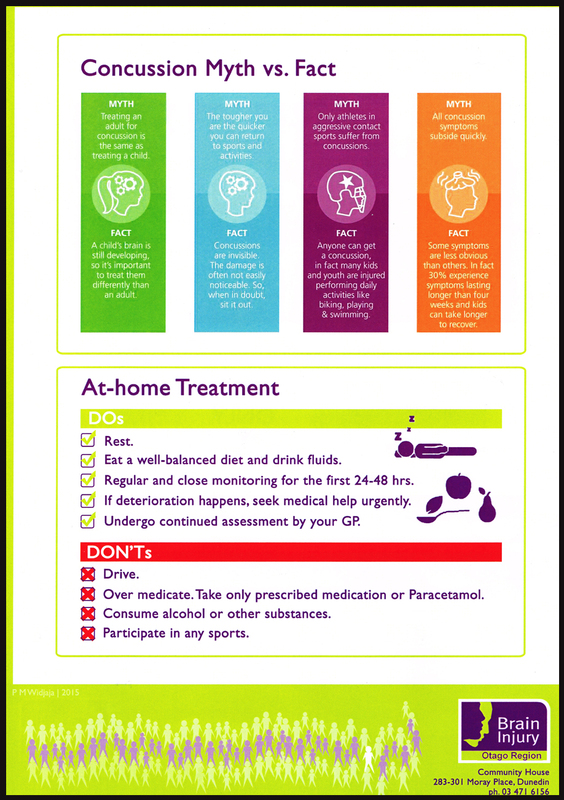 Concussion in sport is again in the headlines and has, sadly, shown the vast difference in how two high-impact codes, rugby and league, handle the issue and the welfare of their players. 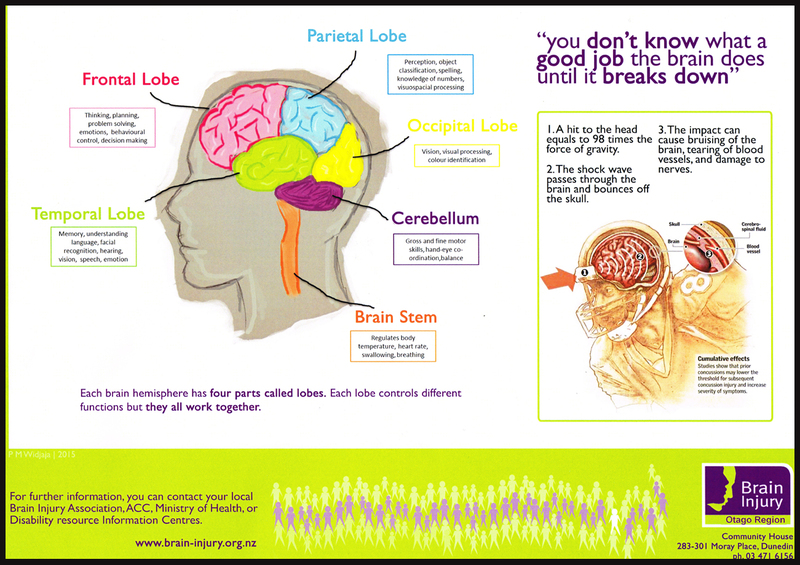 […] It has taken a long time for sports bodies to accept the full impact of concussion. In years gone by it was considered “a knock to the head” and players were encouraged to get back on their feet and into the game. 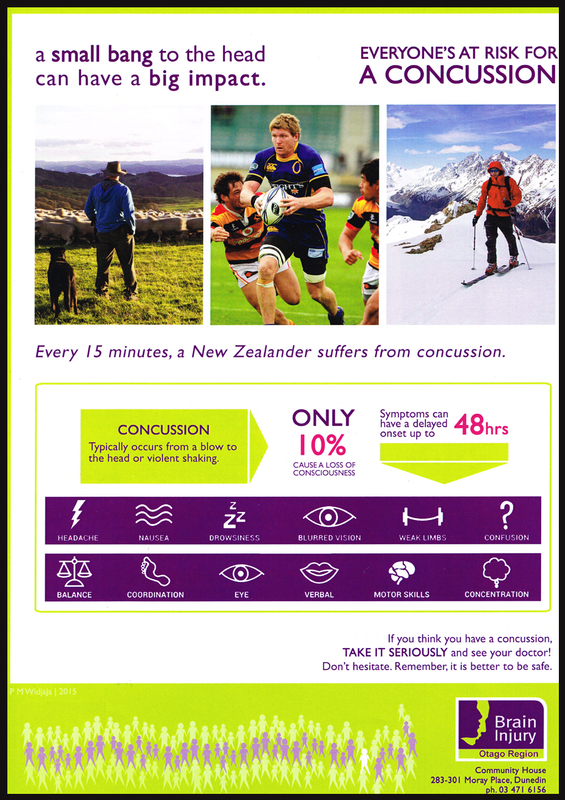 Last year, The New Zealand Herald wrote a compelling series about the long-term effect of head knocks in sport. It discovered five cases of dementia among the successful Taranaki rugby side of 1964, which their families attributed to concussion during their playing days. 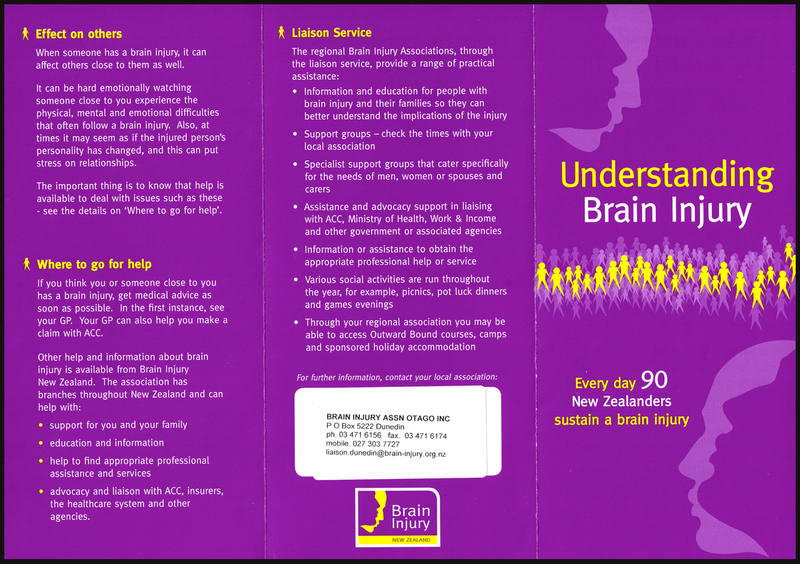 […] The NZRU this year launched a blue card initiative, which is aimed at getting concussed players off the field. 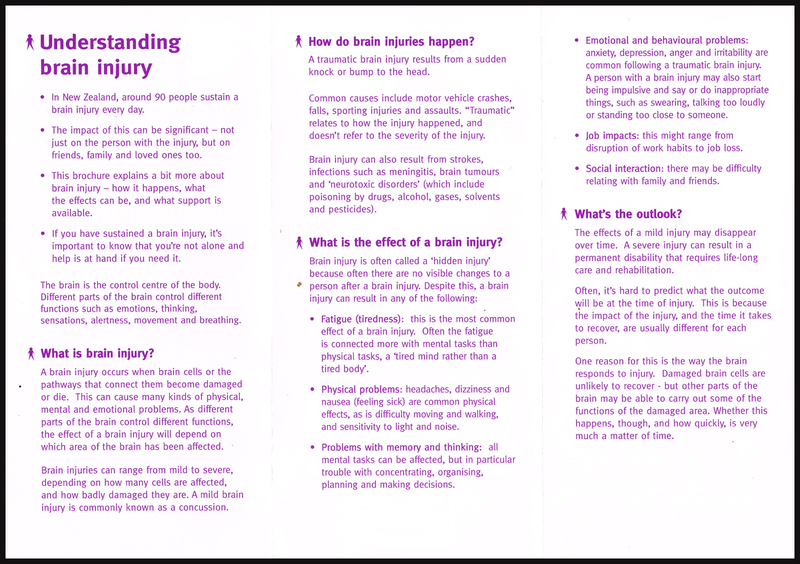 The blue card can be issued when a referee suspects a player has suffered a concussion. The player must immediately stand down for at least three weeks, and obtain medical clearance to return to play. Rugby coaches are being urged to concentrate on improving players’ neck strength in a bid to avoid debilitating concussions. A ground-breaking New Zealand study has found players with weaker and uneven neck strength are more vulnerable to severe impacts that may cause concussion. The experiment by Otago University’s Dr Hamish Osborne and Research Fellow Dr Danielle Salmon used bluetooth sensors behind the ears of 23 players in the Otago Mitre 10 Cup rugby team to measure acceleration, or g forces, during impacts in five games. The neck strength of each player was also measured using especially designed equipment. Salmon said the weaker the neck the more severe the damaging “whip-lash” type movement. A higher acceleration force was also recorded. 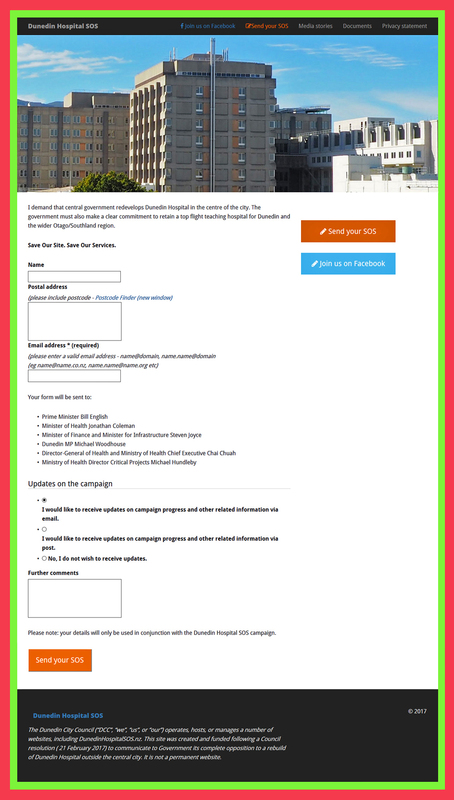 This afternoon David Benson-Pope requested an unreserved apology from the website owner following publication of an image and various comments at a now deleted post concerning the Save Our Hospital campaign that was highlighted in a newspaper story published on 25 March 2017. The website owner unreservedly apologises to Mr Benson-Pope for the publication of this material and any resulting discomfort or distress it may have caused. An apology will be emailed to Mr Benson-Pope shortly, copy Sandy Graham, DCC. 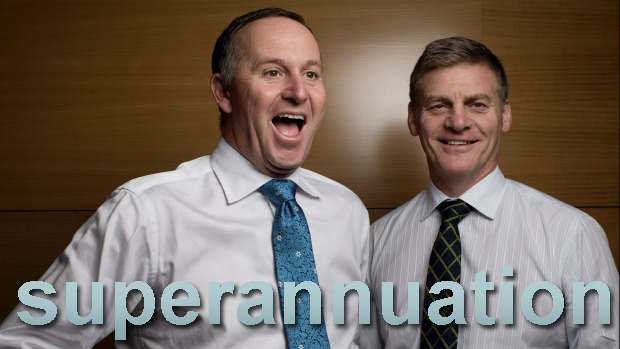 The eligibility age for superannuation will rise to 67 years old by 2040, Prime Minister Bill English revealed this afternoon. In a major political development, English promised to begin progressively lifting the threshold from 65 to 67 years old in 2037. That means the changes will not affect anyone born on or before 30 June, 1972. The Government will not act on the promise until after the general election in September. English said the major change would be legislated for next year. The Government will also limit superannuation eligibility to people who have lived in New Zealand for 20 years, rather than 10 years. That is lower than the commissioner’s recommendation of 25 years. English said the new residency requirement would apply to people who arrived in the country after the law was passed – likely to be next year if the National-led Government remains in power. Other settings such as linking NZ Super to the average wage and universal Super without means-testing would remain unchanged. The age at which people could access Kiwisaver would remain at 65. The changes to the age of eligibility and residency requirements would save the Government at estimated 0.6 per cent of GDP or $4 billion once fully phased in. Experts have said the Government will have to do more than raise the age of eligibility to keep the Super scheme affordable. The cost of the scheme is expected to triple in the next 20 years from $11 billion to $36b as more people reach the over-65 age-group and live for longer. ….English said raising the retirement age in 2037 would more fairly spread the costs and benefits of NZ Super between generations, ensure it remained affordable, and would give people time to adjust. 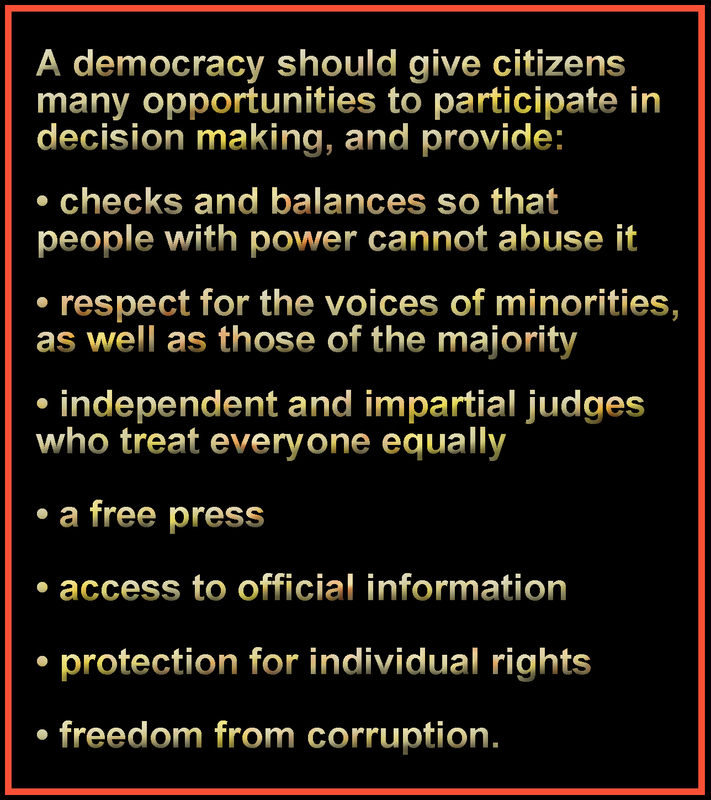 It would also bring New Zealand into line with other countries like Australia, the UK, Denmark, Germany and the United States. English said he did not think his proposals would damage National’s chance of winning a fourth term. “I think they will enhance it,” he said.